Kick off your summer in style with Fright-Rags! 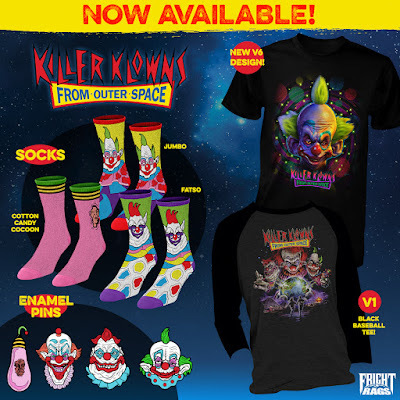 The horror apparel company has released new collections for two '80s horror favorites: John Carpenter's The Thing and Killer Klowns from Outer Space. John Carpenter's The Thing turns 35 this week, and Fright-Rags is celebrating with fresh merchandise from the sci-fi/horror classic. The collection features a new shirt designed by Justin Osbourn and four enamel pins, including a recreation of the film's iconic poster equipped with a blinking LED light. Several The Thing shirts released earlier this year are still in stock as well. 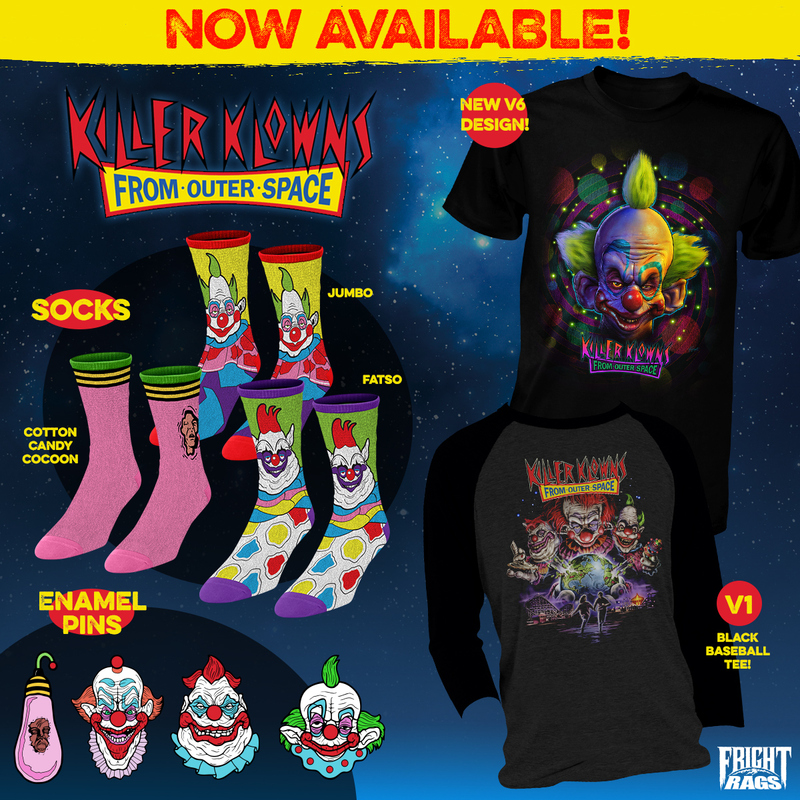 Get trapped in a cotton candy cocoon with Fright-Rags' Killer Klowns from Outer Space collection. It includes a new shirt designed by Christopher Franchi, a classic design by Justin Osbourn available as a baseball tee for the first time, enamel pins of Shorty, Fatso, Slim, and a Cotton Candy Cocoon, and three pairs of custom-knew crew socks.